If "plan A" didn't work the alphabet has 25 more letters! Stay cool. Favorite reads ReCode, CNN, PopSugar and for book I just finished reading Girl with the Dragon Tattoo! Crisel Ortiz possesses a rare yin and yang of strategic- and creative-thinking that’s one ingredient in the secret-sauce that makes MSR so unique. 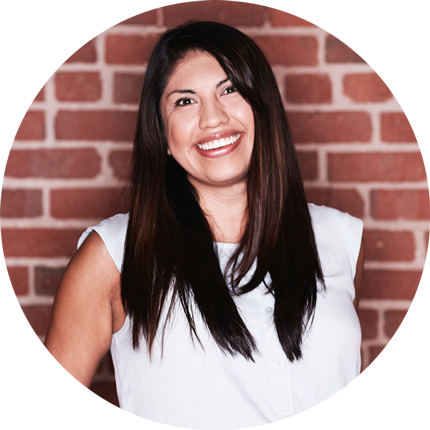 From big data analytics of InfoChimps to the wireless networking specialists at Ubiquiti to San Francisco’s Bluxome Winery and start-ups like Mybotto, Crisel is known for her multi-disciplinary approach and tight relationships with all her clients. At MSR, she’s driven to continually find unexpected ways and fresh ideas that’ll get those clients in front of the right people. That means being fearless when it comes to shaking up strategy with a healthy dose of creativity. In fact, by avoiding the cookie-cutter approach, MSR’s been able to pioneer new avenues to fuel client results. It boils down to relationships, she explained. “I’ve built strong relationships with clients—and with key influencers–too. That gives me unique insights into trends and topics that’ll interest influencers. I can bounce ideas off of my team, and my outside sources to can better predict what ideas they’ll pick up.” A survey? A contributed article? A speaking engagement? An event? Or something that’s truly never been done before? Crisel is passionate to try the unexpected to get the successes her clients have come to expect from MSR.